Oregon’s nursing students have two distinct pathways for pursuing a bachelor of science in nursing (BSN) degree. The traditional BSN is a comprehensive program that prepares aspiring registered nurses (RNs) to enter the nursing profession. The RN-to-BSN program enables existing nurses with just an associate’s degree in nursing (ADN) to earn their baccalaureate degree, often while working at the same time. The undergraduate BSN degree is a four-year program that exposes baccalaureate candidates to courses in anatomy, physiology, nursing fundamentals, sociology, and communication. Significant emphasis is placed on clinical and lab experience to ensure that graduates enter the workplace as well-equipped and confident registered nurses. All RN candidates must pass the NCLEX-RN licensure exam at the conclusion of their studies. To combat a statewide shortage of baccalaureate-educated nurses, the Oregon Health & Science University (OHSU) School of Nursing has established the Oregon Consortium for Nursing Education. After completing an ADN program and passing the NCLEX-RN exam, students at nine Oregon community colleges can enroll directly in OHSU’s RN-to-BSN program. Classes may be completed at the school’s Portland campus or online, either part-time or full-time, providing students significant flexibility. Similar to the traditional BSN program, the RN-to-BSN program ensures that students experience clinical practice. After completing the BSN program, nurses can enjoy a fast-moving and rewarding career at Oregon’s best hospitals and medical centers, some of which are nationally ranked. The state’s most prestigious nursing employers include OHSU Hospital, Salem Hospital, and Legacy Emmanuel Hospital and Health Center. 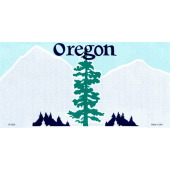 Oregon’s RNs typically earn $65,000 to $95,000 per year, with a median salary that exceeds $80,000. Those with BSN degrees have ample opportunity for advancement, including the pursuit of a master of science in nursing (MSN) degree. To help both new and existing nurses earn a bachelor of science in nursing, we have compiled below a thorough list of Oregon’s BSN degree programs.